Escape the urban bustle at St. Kilda Beach and Royal Botanic Gardens. 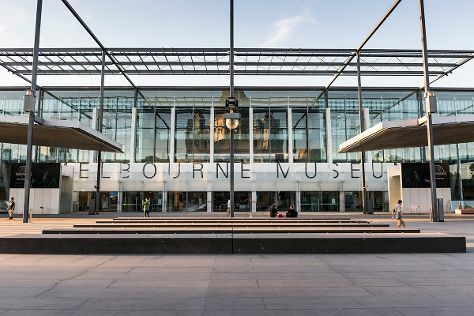 Melbourne Museum and Old Melbourne Gaol are good opportunities to explore the local culture. Go for a jaunt from Melbourne to Torquay to see The Great Ocean Road about 1h 40 min away. There's much more to do: admire the masterpieces at National Gallery of Victoria, get to know the resident critters at Melbourne Zoo, learn about all things military at Shrine of Remembrance, and enjoy breathtaking views from Eureka Skydeck 88. For reviews, traveler tips, other places to visit, and more tourist information, you can read our Melbourne travel route app . If you are flying in from Malaysia, the closest major airport is Melbourne International Airport. Expect a daytime high around 16°C in August, and nighttime lows around 6°C. Finish your sightseeing early on the 20th (Thu) to allow enough time to travel back home.